Homeopathy is an effective and safe natural medicine that uses minute dilutions of substances to heal without side effects. Widespread throughout Europe, Central and South America, India and Africa, homeopathy is experiencing a dramatic renaissance in the United States and Canada. Homeopathy has been clinically proven through two centuries of use and has been shown effective by over 200 scientific studies conducted with modern criteria of investigation. What is treated in homeopathy is referred to as “the vital force,” – the underlying life force in each person. Mental, emotional and physical symptoms are all considered an expression of the vital force. In homeopathy, the patient really heals themselves. A remedy is just a catalyst to stimulate the body’s own innate self-healing ability Homeopathic prescriptions are individualized. Twenty patients with the same medical diagnosis would likely receive 20 different homeopathic remedies, based on the uniqueness of their make-up. Remedies prescribed match patterns of mental, emotional and physical symptoms and characteristics. The body is viewed holistically, i.e., as a whole and the remedy brings harmony and health back into the system. Homeopaths prescribe homeopathic remedies, not nutritional supplements, herbs or vitamins. These remedies are prepared by FDA regulated homeopathic pharmacies through a special dilution process called potentization. A homeopathic remedy tends to give a patient more freedom of movement in the area of their life where they feel “stuck”. Whether or not it is an emotional state or a physical state. For example, a remedy could help with not being able to speak up, not having the confidence to do something or a painful knee that prevents the patient from walking. Many homeopaths now use sophisticated computer programs that contain whole libraries of books, historical texts, magazine articles, cured cases and other information that can be referenced and applied with modern techniques to help make prescription of one of 3,500 remedies more accurate. What is the homeopathic consultation like? The initial visit is 2-3 hours; for children generally two hours. The visit is solely verbal. The homeopath is looking for an array of the unique and (even peculiar) aspects of the personality/disposition of the patient and of the disease/symptom/complaint and it’s history. In a child’s case, the practitioner may additionally speak to the parents at another time in case there is anything that the parent would like to say that she/he is not comfortable saying in front of the child. Follow up visits are one hour. For the first few visits there is 5-6 week between visits. Homeopathy requires participation on the part of the patient. The practitioner needs to have an understanding of the patient to be able to prescribe a remedy; whether the complaint is emotional or physical. This obviously would not apply to infants. Anything in the natural world could be made into a homeopathic remedy. Remedies are made from the three kingdoms in nature: plants, minerals and animals (usually the milk or the venom). At this point in time there are over 3,500 homeopathic remedies and this number will increase in the future. A type of homeopathic experiment called a proving is done in order to elicit the potential healing effects of a given substance and as time passes and more provings are done the materia medica (number of remedies) expands. Some examples of remedies would be cactus, sunflower, phosphorous (the element), spongia (sponge) and different types of lavas. To obtain the best results in homeopathy it is important to go to a practitioner who prescribes one single remedy at a time and not combinations of remedies. There is one single remedy that best matches the overall pattern of the patient’s make-up. This method of prescribing requires a certain level of skill but will also lead to much more satisfying results. Some people suggest that homeopathy is just placebo effect because the practitioner spends so much time with the patient and is listening very carefully. It should be pointed out that homeopathy is very effective in babies and animals who would not understand that they had been given a remedy. Also, sometimes there will be no shift with an initial remedy and a dramatic shift on a second, third or later prescription. It is recommended when starting a remedy that a patient continue on whatever they are currently doing - whether it is another medical treatment, therapy or medications. It is best not to begin something else that is new at the same time as starting a remedy so that the effects of the remedy can be clearly evaluated. It is recommended that the patient not make any major changes in their diet or vitamin/supplement regime at the same time as starting a new remedy. If the patient wants to make changes it is better to initiate the other factors before starting homeopathy or a couple of months after a new remedy is started except in the case of emergency. One may consider cutting back on their medications as they are feeling better on a remedy but this should be done under the supervision of a medical doctor. We do not recommend that you stop any medications that have been prescribed except under the supervision of your medical doctor. It is important that you continue to see a licensed physician for your current condition and any conditions that may arise. the first was bebop, the second was homeopathy". Mother Theresa was a big proponent of homeopathy because of it’s effectiveness and low cost. There are currently four charitable homeopathic dispensories are run under the guidance of the Mother's Missionaries of Charity. Homeopathy is sanctioned by the World Health Organization (WHO) as a valid and effective medicine. Homeopathy is the primary medicine of the British Royal Family and they employ a Royal Homeopath. "It has often been said that homeopathy existed before Hahnemann. So it did; in the same way as gravity existed before Newton." Pamela Anderson is a big proponent of homeopathy and has spread it’s word by going to the press about how it significantly helped her hepatitis. 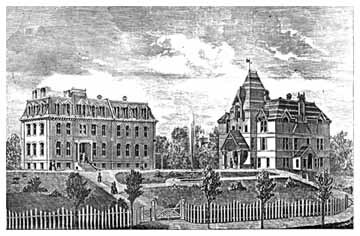 Boston University School of Medicine, 1873 to 1892. Massachusetts Homeopthic Hospital, 1876.